Check all the cool features of our patented swinging window system! If you're interested in replacement windows for your home, Energy Swing Windows are the local experts you need. We offer high quality sliding windows that come with our patented Energy Swing technology and our complete lifetime warranty. Give us a call today at 1-844-385-9318 or click below to learn more about our innovative windows and get a free installation estimate. We provide replacement windows in Monroeville, West Mifflin, Bethel Park and throughout the surrounding areas. This homeowner simply wanted to replace one three-panel window with a new three-panel slider window. Energy Swing Windows was happy to accommodate her need for only one window! Our client had old, inefficient casement windows in their home. They were seeking energy efficient and a more attractive option for their old windows. They decided against putting another casement in their bathroom, and instead opted for the attractive and slider option. It makes the bathroom look bigger and brighter! Our customer located in Greensburg, PA was ready to replace their existing aluminum slider windows with our energy-efficient and easy-to-clean slider windows. Our team replaced eight total windows. Check out the drastic difference in appearence between the old window and the new! These homeowners had Energy Swing Windows build a porch enclosure and install new windows and doors so they could use the room all year long. What makes our windows different? Our sliding windows come with low-e glass to improve energy efficiency. 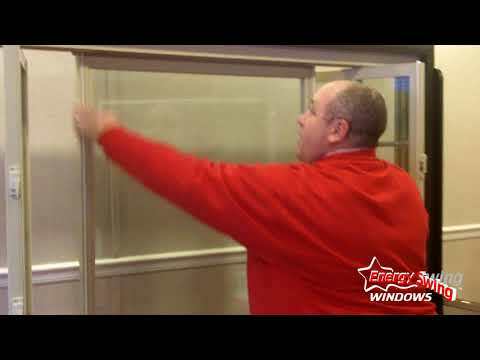 Our energy efficient vinyl slider windows are easy to operate and clean. Simply release the clips, pivot the sash, wipe clean both sides, and you're done. Our reinforced sash will not bend, bow, warp, or become disfigured in any way. We guarantee it! These are the perfect alternative to our double hung windows, depending on the size of each specific opening in your home. With many other slider windows, the sashes are not even removable and cannot be cleaned from inside your home. Do you really want to go outside and climb a ladder every time you need to clean your windows? Probably not. Even if the sashes are removable, you need to lift out the heavy sash before you can clean the outside -- not ideal. Our system eliminates this problem and makes cleaning your windows as easy as possible. If you want to upgrade your windows, call Energy Swing Windows today to get started! We are your local replacement window experts, providing sliding windows and other quality products. 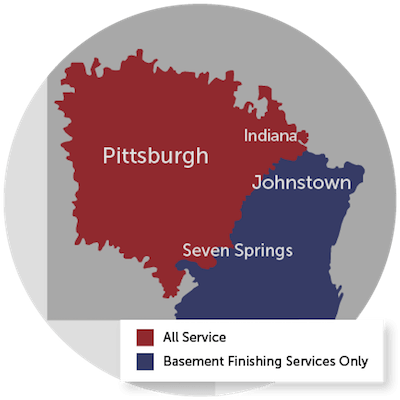 We offer free estimates in Monroeville, West Mifflin, Bethel Park, Irwin, McKeesport, Coraopolis, New Kensington, Greensburg, Export, Trafford, Canonsburg, Latrobe, Bethel Park and throughout the surrounding areas.